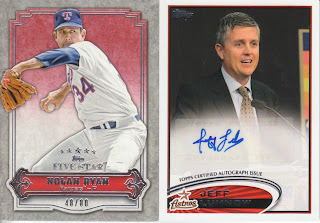 The awesome Nolan Ryan base card I picked up on eBay! 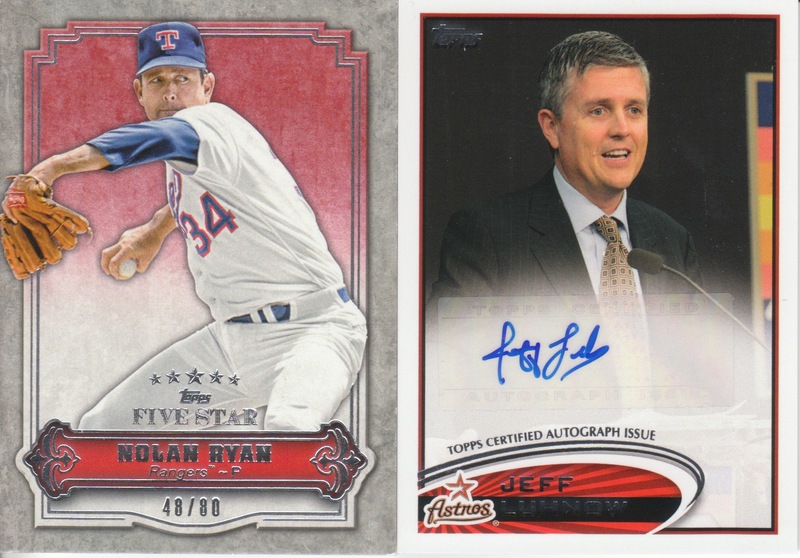 #'ed out of 80, it's a freakin awesome card of Nolan! My buddy James, who migrated his blogging over to Unabashed Interest, sent me the Ludhow auto as part of a deal for a couple of Will Clark cards! Thanks James. As for the group break, I do want to apologize to the international participants. Due to the holiday and a couple of things out of my control, I wasn't able to get to a post office during operating hours to get those three packages mailed. I will work to get that done as soon as I can this week, but I'm afraid it'll be Saturday at the earliest with my work schedule. Don't worry about the delays. I would have just blamed Canada Customs anyhow. Wow, great Nolan card, grats !